4 chips in 6 months. This is the schedule AMD’s GPU engineering teams committed themselves to for the launch of the Evergreen family. The entire family from top to bottom would be launched in a 6 month period. Last month AMD took the first step of that plan with the launch of Cypress, the forebear of the family and the source of the Radeon HD 5870 and 5850. Today AMD is taking the next step in the launch of the Evergreen family by delivering the 2nd and final Evergreen chip of the year: Juniper. 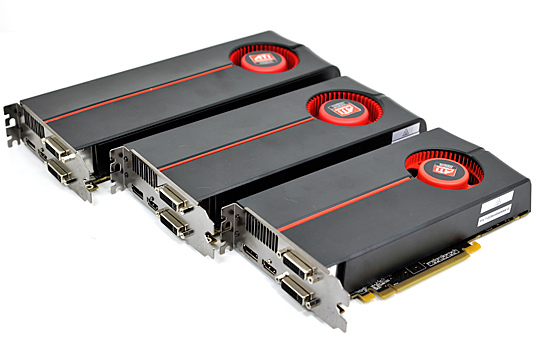 Or as the products based off of them are known as, the Radeon HD 5770 and 5750. In our 5800 series launch article, we briefly discussed Juniper and the other members of the Evergreen family. 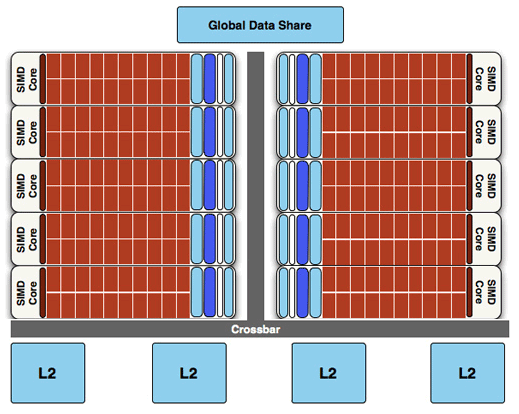 With Cypress a bit too big and a bit too expensive to hit mainstream prices, a new chip was introduced in to AMD’s usual 3 chip stack to cover that segment of the market, and that chip was Juniper. What’s Juniper? In a nutshell, it’s all of Cypress’ features with half the functional units (and no Double Precision for you scientist types). DirectX 11, Eyefinity, angle-independent anisotropic filtering, HDMI bitstreaming, and supersample anti-aliasing are all accounted for. For more information on these features, please see our Radeon 5870 launch article from last month. With half of the functional units left behind, we’re left with 10 SIMDs, giving us 800 stream processors and 40 texture units, while the ROP count has also been cut in half to 16, in turn giving us a 128-bit memory bus. If Cypress was 2 RV770s put together, then Juniper is the closest thing you’re going to see to RV770 coming out of the Evergreen family. With the reduction in functional units, Juniper becomes a leaner and meaner core. The transistor count is 1.04 billion, a little less than half of Cypress and about 100 million more than RV770. The die size of this resulting core is 166mm2, significantly less than both Cypress and RV770, the latter due to the smaller process size. RV770 for comparison was 260mm2. From Juniper we are getting the 5770 and the 5750. The 5770 is a full Juniper, with all of Juniper’s functional units enabled and the card running at what amounts to a full speed of 850MHz (the same as 5850). The 5750 is slightly cut down, much like 5850 is compared to 5870. Here we have 1 SIMD disabled, and the core clock reduced to 700MHz. This is a notable departure from how AMD handled the 4870/4850 split, where 4850 was differentiated using a slightly slower core and much slower RAM, without the need to disable any SIMDs. The smaller Juniper core also affords these cards lower power usage than the 5800 series. The 5770 is 108W at load and 18W at idle, meanwhile the 5750 is 86W at load and 16W at idle. As an interesting aside, when AMD started sampling Evergreen cards to game development houses and other 3rd parties, they were Juniper based, and not Cypress based. The Juniper team was rather proud of this, particularly since Juniper came back from TSMC second. They also had less time to get their GPU up and working than the Cypress team did, since they had to wait on Cypress before being able to finish work on some elements. This is what makes AMD’s 6 month rollout all the more impressive, since it means the non-Cypress teams had less time to get their work done than they have in previous product cycles. ATi's Eyefinity requires a display port monitor to work properly (saw on youtube video), and what it does is makes the image share across the screen. My question is can you use the ATi card and use all monitors independently without the eyefinity feature? Ryan - THANK YOU for including the 8800GT in the graphs: That is the card I (and many other potential buyers) will be upgrading from, moving to a DX11 card. It's too bad this new card (5770) can't quite catch the GTX260 C216, as that is its main NVidia competitor in performance and price. It uses just as much Load wattage as a 260, but seems to offer around 80-90% of the performance. Perhaps if they hadn't cut the bandwidth to 128-bit, it would have squashed the GTX-260. But ATI has a habit of under-bussing their cards and it continues to negatively impact high resolution performance, no matter what certain reviewers might claim about the bus-width not hurting performance. Time and again, testing shows potential for improvement from a wider bus.